List of confirmed working PID(s) can be found in the second post. Frequently Asked Questions can be found in the third post. Custom made themes can be found in the third post. As many of you know, and I'm sure many of you don't know, there is an App called Torque/Torque Pro on the Android market for Android based devices. 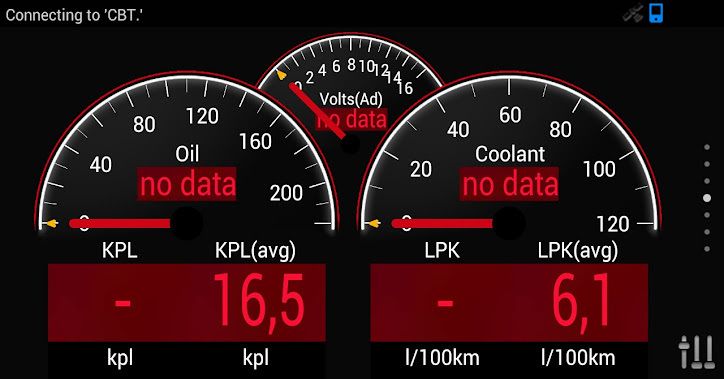 To sum it up, the app allows the user to have access to hundreds of readings from the cars factory sensors, and can allow for data logging and other cool features, you will find the description pulled directly from the app below. An alternative to expensive gauges which take time to set up. Good for anyone that wants a basic idea of what's going on with their cars. - The main focus of this thread is to have area where we can discuss the manufacturer specific PID's for OBDII, I'm not entirely sure if FRS/BRZ PID's are the same. The app comes standard with a bunch of features, but to get the good stuff we need access to the PID's which tend to be very hard to get. I'm hoping with the help of the large community we can gain access to PID's like the Engine Oil Temperature (EOT), to be able to have a live reading of our cars EOT. I plan on maintaining a list of PID's that are confirmed to work with our vehicles. UPDATE: Oil Temp PID has been determined. - We can also use this thread as a universal thread for anyone having troubles with app, OBDII BT transmitter and other problems. -Discuss current setups such as your layout on torque, mounts, devices, transmitters. There's many benefits of this thread, and hopefully with the help of the community we can get access to an advanced list of PID's for our cars. Let's please keep this thread flame free and ON TOPIC. Last edited by Brody602; 11-05-2013 at 03:44 PM. It seems to be much more accurate than the default fuel percentage that is in Torque. Last edited by Brody602; 03-20-2013 at 05:31 PM. Q. How do I add extra PID's? A. Open the Torque app and then hit the menu button. Select "Manage extra PIDs/Sensors" (should be second from the bottom). Hit the menu key again and select "Add custom PID". Enter the PID information provided (And a full and short name of your choice). Hit ok. The parameter will now be available for logging and real time display. Q. How accurate are the readings, are they trustworthy? A. Generally speaking any sensor related information should be accurate considering it is coming directly from your ECU. There is a slight lag/delay in receiving the information but nothing major, unless your racing competitively you may want actual gauges. 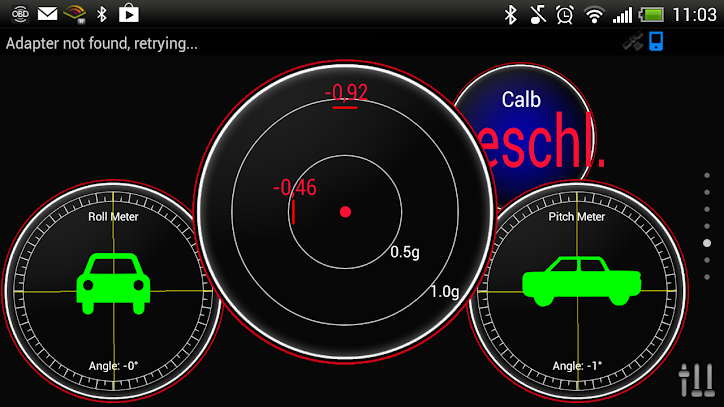 I've tested the Boost and AFR gauges for accuracy in my brothers EVO X in comparison with his in car gauges, the readings I was getting on my tablet matched perfectly his in car gauges. When it comes to WHP that is a calculation based on the car specific information you input into the app, for an accurate reading, you'd to input exact weight, max RPM ect. The same applies to any other non sensor calculations. Q. Will we be able to monitor Boost levels even if our car isn't a factory forced induction system? A. Yes it shouldn't be an issue, our MAP sensor is what calculates these values. We are able to monitor our Vacuum produced and Boost is the same value as Vacuum except Vacuum is a negative value and Boost is a positive value therefore it should display real time boost information with any setup. Q. The PID I've entered is in Celcius can I switch it to Fahrenheit? A. Yes. To change the read out to Fahrenheit, go to Settings -> Units on the main screen for Torque and uncheck the checkmark that says something along the lines of Display In Celsius. All temperature readouts should change to Fahrenheit correctly. Q. I don't have an option for OBD header in the custom PID, do I need this? A. For certain PID's such as Engine Oil Temperature you need to input OBD header information, you'll need to purchase the Torque Pro App in order to be able to enter the OBD header information. To use it you just need to extrackt the zip-file into the \.torque\themeDir folder. The folder might be hidden, so make sure your filebrowser shows also hidden files. Put this file into the folder \.torque\dashboards\, then start Torque and got to "Realtime Information" > "Settings" choose "Layout Settings" and import the Layout/Dashboard. In the imperial theme there is also 0-60mph time and 1/4 mile time on the "Home Screen". Last edited by Brody602; 02-06-2013 at 03:45 PM. Getting a Nexus 7 this week, got a Proclip to use with it. Might be trading proclip mount for the beatrush one when it comes out. I think it's an awesome alternative to actual gauges. There is no glare from the display, it's just the camera with sun right in front of it. Got the charger looped around behind and into glovebox charger. It's slightly in the way of headunit, but all corner touch controls are still operable. 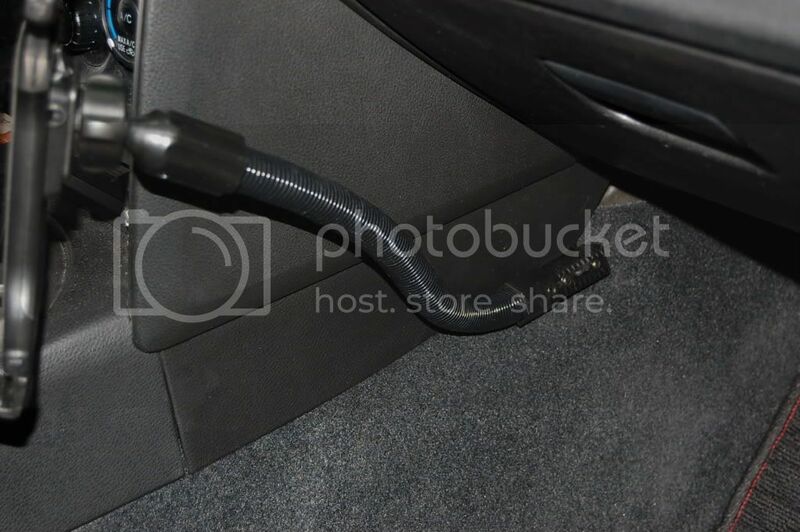 This mount clips where center console joins with dash, and clips in vent. It's a little close to headunit, so I might 'upgrade' to Beatrush's mount that goes in the slit to the right a little. I'll put pictures up on this post after installation. As far I can understand, AVO kit is beeing controlled from your factory ECM, probably your engine already has the needed sensors to measure boost (MAP) and intake air temperature (IAT), the 2 basic params to manage air forced configurations. Obviously at this moment your MAP only reads negative pressure (vacuum), but probably is able to read positive (boost), and your ECM only requires a software upgrade from EcuTek when you install the turbo kit. So, if you can already read the MAP vacuum values using an OBD2 tool, after the tune, you will be able to continue reading this data. Last edited by Brody602; 12-03-2012 at 07:26 PM. What OBDII readers are you guys Using? Last edited by Brody602; 12-04-2012 at 04:48 PM. hows that seat bolt mount working out? pretty sturdy or does it move around when cornering? I've been looking for some car mounts for my Nexus 7 and this one topped my list. Ok when cornering, but I was thinking of augmenting it for our third world country roads where I live. BTW, I've been told PIDs are locked on ECUTek tunes. So unless it's a standardized parameter (ex. Coolant Temp), then you won't be able to access the signal. 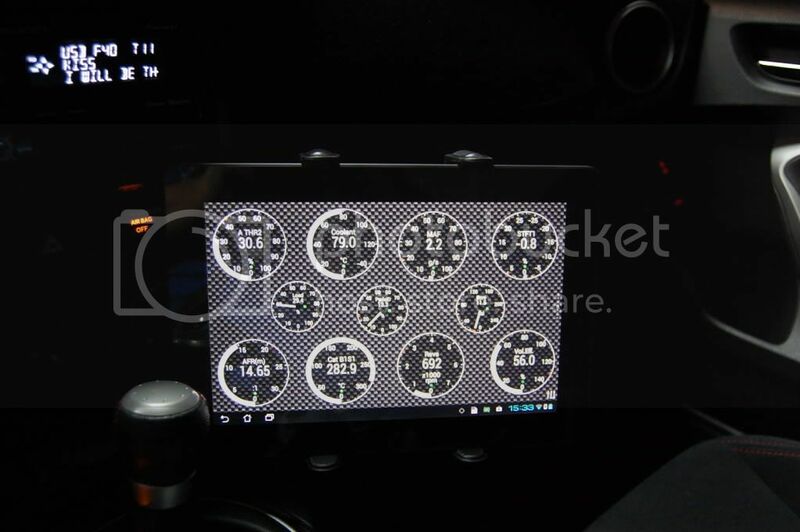 Even with the tuner edition of EcuTek? If so this is unfortunate , if this is the case I believe Techstream is the only way..